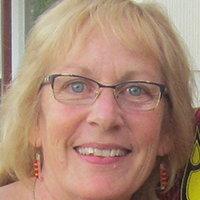 Nancy Janney holds degrees in math and French from Iowa State University, and started teaching both subjects in 1980. She came to Alpha Omega Academy in 2010 and teaches math for grades 7-12. In recent years, Janney has taken courses to learn more about facilitating online classes, which has enhanced her performance as a teacher at AOA. Janney was born in Chicago, Illinois, and raised in Mt. Prospect. Growing up, she enjoyed participating in music extra-curriculars and activities through her church. Today she enjoys similar activities as she plays piano and keyboard on her church’s worship team. Her other hobbies include crocheting, cooking, and gardening. In addition, she and her husband enjoy puzzles that challenge the mind, such as crosswords, jigsaw puzzles, and Sudoku. They also participate in trivia nights with close friends a few times each year. Janney says others would be surprised to learn that she has studied several languages, including English, French, Swedish, German, Italian, and Lingala. In the spring of 2015, she led a team from her church to Congo for a two-week mission trip. “I hope to lead such groups again in the future, giving myself and others the opportunity to be ‘Jesus with skin on’ in different corners of the world where we can partner with those who regularly serve people in need,” Janney said. "My daughter went to public school for one semester of her freshman year. We realized it wasn't working for her and she is in the second semester of her sophomore year with AOA now. She is doing great. "—Theresa N.